Unbeaten Oleksandr Gvozdyk retained his World Boxing Council light heavyweight title Saturday with a fifth-round technical knockout of Doudou Ngumbu, who was halted by a right leg injury. Ukraine’s Gvozdyk, making his first defense of a title he won with a devastating knockout of Adonis Stevenson in December, improved to 17-0 with 14 knockouts. Although Gvozdyk had some trouble with Ngumbu’s awkward style, he connected with a hard right in the first round and a left hook in the fourth. The champion was leading on the cards when the proceedings at the 2300 Arena in South Philadelphia came to an anti-climactic ending as Congolese-born French fighter Ngumbu suddenly pulled back in the fifth round and limped into a corner. The bout was paused for a few minutes before referee Eric Dali finally called a halt at 58 seconds of the fifth round. A distraught Ngumbu, his first world title challenge in ruins, wept in his corner after falling to 38-9 with 14 knockouts. 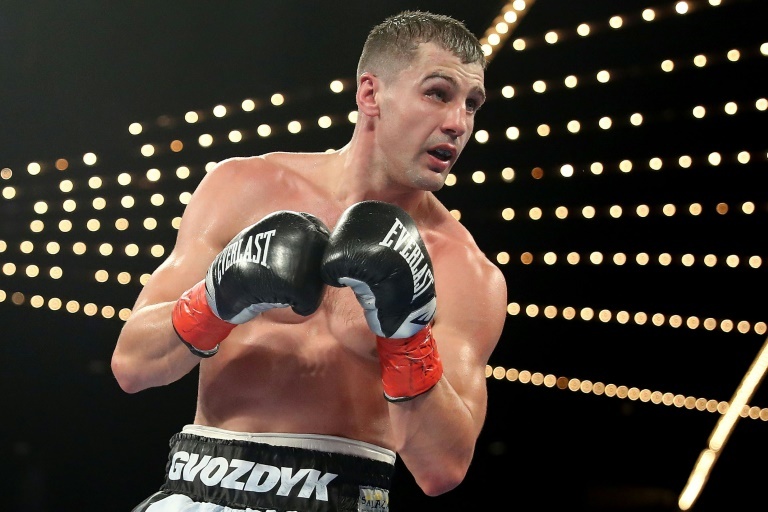 Gvozdyk’s previous fight against Stevenson had near-tragic consequences as the 31-year-old Canadian, who was making his 10th title defense, suffered traumatic brain injury and was in a coma for several weeks. Next articleAustralian Ball-Tampering Scandal: Bowlers Deny “False” Reports Of Boycotting If Warner Plays!